I wish I had had this months’ stamp of the month (Life in Pictures ) when I created this layout. I do love this layout, but to have the ‘polaroid’ image around the photos would have made it even more perfect for me. But you don’t have to miss out. You can purchase this very versatile stamp set for $33, OR add it to a $75 order for just $10. 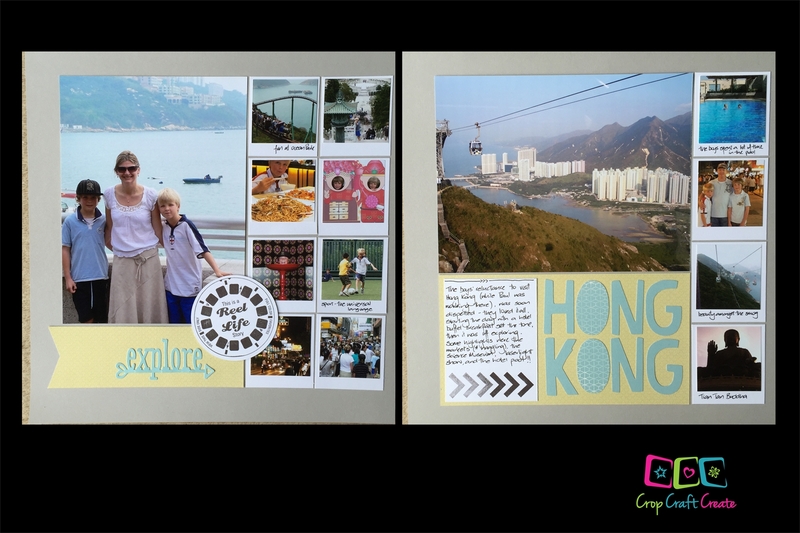 And there you have it – a lovely simple page – that really captures the diversity of our time in Hong Kong.